You’ve read the statistics about cycle theft and threats to the safety of cyclists, and have made sure you’ve decided on the best cycle insurance policy for you and your needs. So if the worst happens and your bike is stolen, vandalised or otherwise compromised you would, understandably, be frustrated if your claim were to be denied or rejected outright. We know that our customers are sensible and considerate road users, as evidenced by their decision to insure their bikes. Unfortunately, we are sometimes forced to reject claims, often because of the most basic of misunderstandings. The stress and aggravation caused by denied claims could, in most cases, be easily avoided. 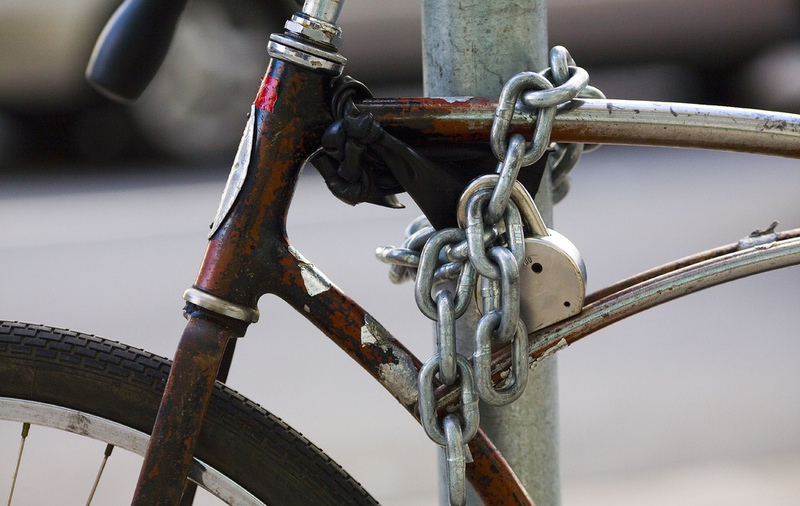 The bicycle was secured with an inadequate lock – NOT just a security cable. Most bicycle insurers, including the ETA, require you to use a Sold Secure approved lock, of a rating correctly correlated to the value of your bicycle. You must provide proof of ownership of a suitable lock when making your claim in order to be successful. Please see our ‘Lock Requirements’ page, or your policy document for more information. What locks do we recommend? 2. 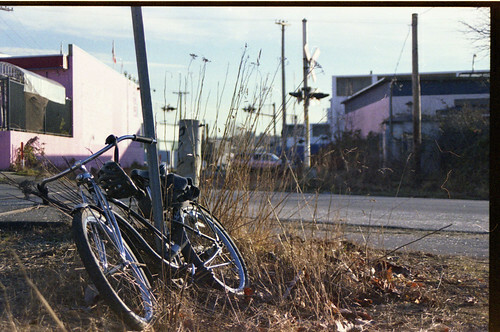 The bicycle was left unattended in a public place for more than 12 hours. Please be mindful of how long your bicycle has been left unattended. If more than 12 hours elapse between the time the bicycle was left and the incident you are claiming in regards to, we will be unable to pay out. The only exception is at rail stations, where the time limit for leaving correctly secured cycles unattended is 24 hours. 3. The bicycle was not secured through the frame to an immovable object. This is a very simple to avoid, and yet surprisingly common, problem. When locking your bike, secure it with an approved lock to an immovable object, being sure to pass the lock through the frame of your bicycle. Failing to meet these requirements when locking your bike makes it an easy target for thieves. We cannot, unfortunately pay out for a claim made under these circumstances. Check out our cycle locking dos and don’ts. 4. The bicycle was not secured to an immovable object. 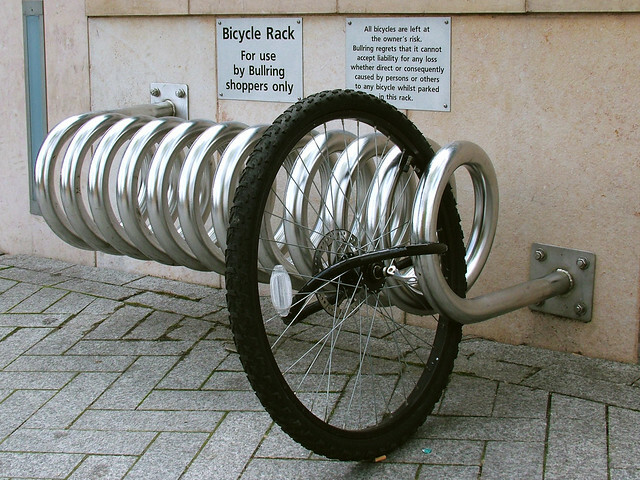 Be sure to secure your bike to a sturdy and immovable object, whether in a public place or communal areas. Use common sense to ensure you do not lock your bike to an object that can be moved or broken with reasonable force or that your bicycle could be removed by lifting it over a lamp post for example. 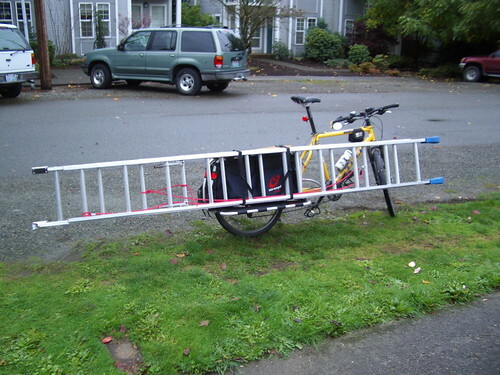 Incredibly, we have had the odd claim for bikes ‘secured’ to ladders, hedges and even lawnmowers. 5. The bicycle was stored for a period of more than 12 hours in a communal area, and was not kept out of sight. 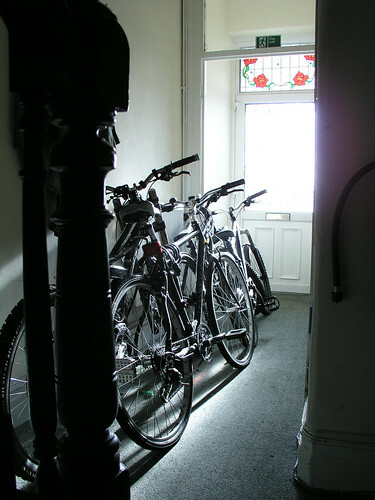 If the private dwelling named on your policy has communal areas such as hallways or outbuildings where you store your bike, it must be secured to an immovable object and, crucially, kept out of sight. If your bike can be easily seen through a window/opening, etc., you run the risk of compromising your cover. We of course advise all our customers old and new to familiarise themselves with the wording on their policy documents, in order to reduce the risk of misunderstanding and disappointment. Please see our Cycle Insurance FAQs if you have any other questions relating to your bicycle insurance policy. We are seeing this more commonly of late, as more bike locks come packaged with an additional security cable. These are designed to provide an additional deterrent and to add extra security for accessories such as front wheels and saddles. They should never be used as the sole locking method as they are not Sold Secure rated bike locks; doing so could invalidate your cover.